If you give your chimney any thought at all, you probably see it as little more than a pile of bricks with a hole through the middle that carries smoke out of your house. While this is fundamentally correct, the brick exterior of your chimney is only a small part of a complete system that keeps your house safe and warm. Since most people don’t give their chimneys much thought, there are things a lot of people can do to improve the performance of their chimney system, often without spending a fortune to do it. 1. Most important, is to safely contain and remove combustion products from your fireplace, furnace, or other fuel burning appliance and deliver them safely out of your home. 2. Your chimney system should contribute to the overall energy efficiency of your house. A well designed and properly maintained chimney system will accomplish both of these tasks at once, with very little ongoing expense to you. 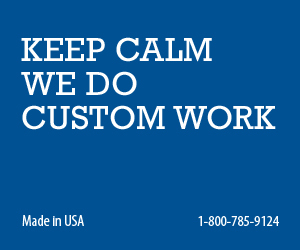 Your first concern should be safety. If your chimney does not efficiently remove combustion products from your fuel burning appliances, you can have problems ranging from a smoky smell to a lethal accumulation of carbon monoxide. If your chimney has leaks, carbon monoxide and smoke can drift back into your house, and heat and flames can potentially reach the flammable structure surrounding the chimney and cause a fire. If your chimney is not efficiently removing smoke and combustion gases from your house, you are probably not getting optimum efficiency from your fuel burning appliances. If your chimney system leaks, you are probably losing heat out of your house through your fireplace when you are not burning a fire in it. 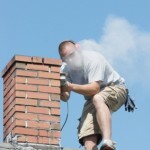 You can take care of most chimney system problems without major expense. You should have your chimney liner cleaned and inspected on a regular basis by a professional. He or she can tell you of any structural problems that need to be corrected to keep your system safe. 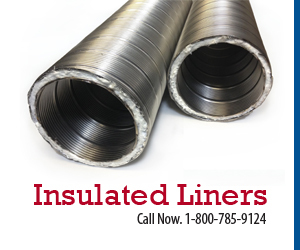 If the inside walls of your flue are cracked or have missing mortar, bricks, or tiles, installing a flexible metal chimney liner will make your chimney safer and will probably improve your fireplace draft. If an inspection shows that you have water damage to the structure of your chimney, you can use products such as Crown Coat, Crown Seal, and Crack Magic Crack Sealant, or Water Base Chimney Saver to repair damage and prevent further moisture penetration. 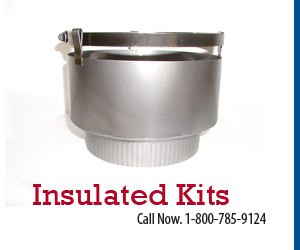 Another step you can take to keep moisture (and animals) out of your chimney is to install a Hy-C Stainless Chimney Cap, which is available in several colors. Once you have made appropriate repairs, if you notice a cold draft from your fireplace on days when you don’t have a fire burning, you probably need to close your damper. Sometimes dampers leak even when closed, so you can also install an Energy Top Chimney Damper which seals the top of your flue with an indoor operated cap to improve your home’s energy efficiency. So, instead of viewing your chimney as a static pile of bricks, treat it with respect as the complex system that it is. A little money now will save you a lot of money down the road.